Paint by Maths has been given a 4 star rating by the Educational App Store, who are on a mission to find and certify apps for their educational value in helping children, parents and teachers learn throughout their primary school education. Check it out by reading the review by clicking on the badge above. 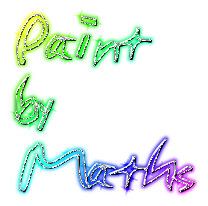 Paint by Maths is aimed at children 6+. Paint by Maths is a fun way to reinforce and learn the key mathematical basics as expected in key stage one. From how numbers are written and said like 13 and 30 to working out number bonds to 10 and 20. Children from 5 upwards have all downloaded and played the game and thoroughly enjoyed it! I have had many positive comments from teachers in key stage 1 and from teachers in special educational needs schools.